Pass lies at an altitude of 4270 m (14039 ft) on the Pir Panjal range in the Himalayas. It is a small corridor between Lahaul's Chandra Valley and Kullu valley of Himachal Pradesh, India. This pass is frequently used by shepherds of lower Himalayan region, seeking for high altitude grassland. Trekking Shoes: Always invest in a good quality trekking shoes. Jobra altitude - 9,800 ft : Chika altitude - 10,1000 ft.
- We will drvie 2 hours from Manali to Jobra. - Trek is of 45 minutes (2 km) from jobra to chika. - Stay will be in tents at chika campsite. - The Rani River flowing in the middle makes this place perfect for setting up the tents. - Water availability through the trail. - Altitude - 10,100 ft to 11,900 ft.
- We will start the trek to Balu ka ghera next day early in the morning. - The trek is of 6 hours (8.5 km). - Pack lunch will be provided. - We will reach there by evening. -Comfort stay in the tents. 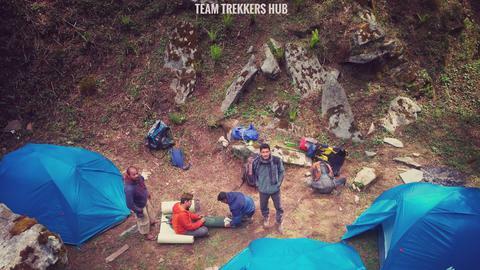 - This is the most important day of the trek. -It will take 9 hours (6.65 km) to reach. - It is advised to take sufficient water along with. Water points may not be available depending upon the snow conditions. - Coldest place of the trek. - Enjoy the site followed by dinner. 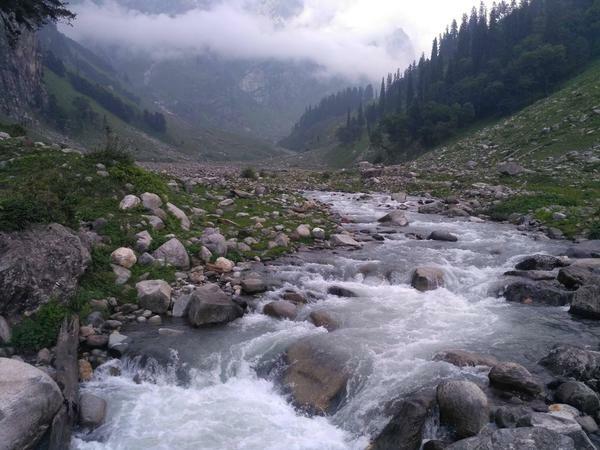 - The trek is of 5 hours i.e 7 km so it will be started early in the morning. - Lunch will be at Chatru camp. - Water points available during the trek. - 4-5 hours of drive to Chandertal lake will be Tad uncomfortable. - A 14,100 ft., Chandratal is a treat to the senses. Although, given the high altitude, don’t forget to keep yourself hydrated. - Back to chatru camp site, either on day 4 or day 5 (depends on road and weather condition). - This will be the final day of the trek. - We will drive back to Manali via legendary Rohtang pass. - It will be a picturesque drive of 4-5 hours (depending upon the traffic).